Home / Topics / Management / Accomplishments / [Kobiz Feature] Are You Dreaming of Second Career? [Kobiz Feature] Are You Dreaming of Second Career? SEOUL, Korea, Nov 01 (Korea Bizwire) – The number of people dreaming of second careers is on the rise. 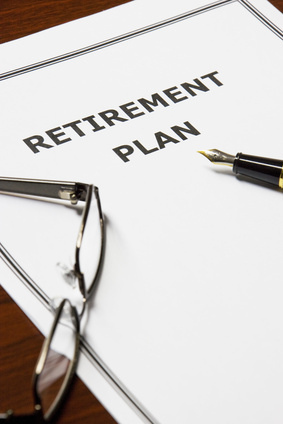 According to a survey by job portal JobKorea on 1,011 office workers, as much as 88.4 percent said they have post-retirement plans. Of the 894 respondents who said affirmatively to the question, 59.4 and 59.2 percent answered that more time and money, respectively, are most important for their second life. As to what they prepare for the future, ability to make more money (e.g., investment skills) took the largest portion at 51.9 percent, followed by self-development (in language and job skills) (42.3%), learning hobbies (37.6%), self-employed business creation (17.7%), job switch (15.1%), and others (1.0%). As to a question about what they want to do most in their second life, 56.8 percent said travel. It was then followed by self-owned business (43.9%), spending time on hobbies (36.7%), going back to school (18.9%), settling in a farm (7.7%), and others (1.1%). About the best time to quit and move on to a second career, 23.6 percent of respondents replied that it would be between 36 and 40 years of age. Those aged between 41 and 45 accounted for 21.6 percent, followed by 31-35 years (20.0%), 46-50 years (12.0%), 51-55 years (9.9%), 56-60 years (7.1%), and 61-65 years (4.7%). The survey results indicate that nine out of ten salaried employees are dreaming of a day when they kick the office door open and get out, as well as that the time to do that is getting moved up earlier than before. To address these rapidly rising needs, government agencies, non-profit organizations, and private-sector companies are offering a variety of programs. For example, those in their 50s or older can go to the Seoul Center for Senior Employment, an organization established by the Seoul Metropolitan City Government. The center provides information and job training programs for those looking for jobs after retirement. Recently it announced 30 job positions for seniors who will regularly post news stories and photos on its newsletter for 100,000 won a month. The monthly newsletter will be published within October and carry news about senior jobseekers as well as announcements by district offices within the jurisdiction. The city government won many plaudits for holding a variety of events for seniors looking for jobs. 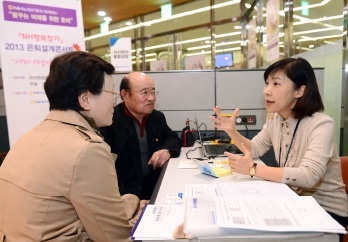 The 2013 Seoul Senior Festival, hosted by the Seoul City Government and the Korea Life Insurance Association and sponsored by the Seoul Center for Senior Employment, was prepared to raise awareness of the issue of senior joblessness and find solutions. 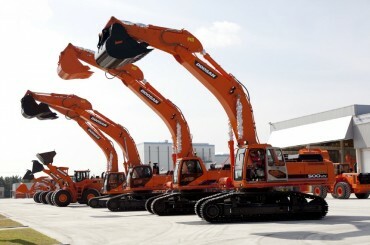 The Signa Foundation established this year by Lina Life Korea also joined the festival as a sponsor. The event was held for two days between October 24 and 25 with scores of companies and non-profit organizations setting up booth in the fair. The Signa Foundation also opened a booth there to promote its individual social responsibility index while checking the visitors’ health. The ISR index developed by the foundation measures an individual’s degree of social contribution. After the health check, medical coordinators hired by the foundation gave free consultation. Advice on second careers is not just for those in their 50s or older. The non-profit Hope Institute, famous for being established in 2006 by Park Won-soon, the current Seoul city mayor, offers a program for those salaried employees in their 30s after work to help them design their post-retirement career. The program has a variety of sessions including personal finance classes, volunteer activities, sustainable business creation exercises, and humanities lectures. 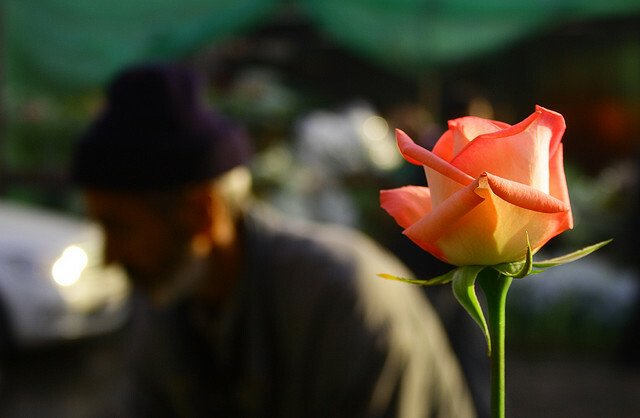 Some other organizations offer English language courses for middle-aged men and women. 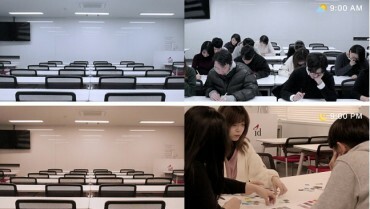 Dong-A Center for Continuing Education, an affiliate of Dong-A Daily News, is providing English classes custom-tailored to older students with little language background, learning with fun-filled activities, songs, and TV dramas. Banks are also capitalizing on this trend of people seeking second careers. For example, the NH Retirement Research Institute affiliated with NH Bank held on October 17 a concert-like event at a music hall in which it invited 400 clients. The event featured speeches on how to control your anger and how to design your second life by a medical doctor and the research institute’s president Huh Seung-taek. It was then followed by a performance of B-Boy group S-Flava. At the venue, representatives from NH Group companies including NH Bank, NH Life, and NH Securities set up booth to conduct one-on-one financial management consultations with visitors. According to the Korea Statistical Office, the life expectancy of average Koreans today is 78.6 years, up 26 years from 52.4 in 1965. That means preparing for your second career is no longer something optional. As more and more people in their 30s and 40s are forced or opt out of the formal job market, it is inevitable that older ones must compete with their younger counterparts in the job market for seniors. Although many public or private organizations are already offering a wealth of programs for second careers for younger and older ones alike, many professionals say this is not enough and there must be more to come to accommodate the rising demand.